I, as I am sure many of you, enjoy music of many forms. Celtic and classic rock are some of my preferred genres. Now it is true that one of the great attributes of music is the way in which words set to song has a way of having many meanings to many people. I recall one story of an author who wrote a love song about his car, and yet the song could have been intrepreted as being a love song regarding human relationships. The Occult is very much crafted in such a way, giving meaning to the idea of "sephera" wherein a particular "sephera" on "the Tree of Life" is said to be "paths unto themselves". Each definition of a word may be regarded as a "separate path" on a "sephera", even as the "sephera", or word, remain unchanged. One way to approach a rational understanding of this phenomena is to understand that words are "static" by nature, but become multi-dimensional through the assignment of definitions, and then further become trans-dimensional through the application of esoteric formulae. As a static formula, it appears to be as simple as a "color" in that to the letter sequence "BLUE" we have given the word a defined, or static, meaning. "Blue" in and of itself we may understand to be any given shade of "blue", from ocean deep blue to a royal blue to a sky blue. In each case, the word is static in that the given color is still "blue". In the above example, the static portion of the word is the simple idea of "blue = a particular color". Multi-dimensionality, in this case, is accomplished through the addition of an "add" jective", or an adjective. Once the relationship of "blue" to "sky blue" is made, the mind will affix for a period of time the relationship of "sky blue" to the static word of "blue" until such time as a new slate is imprinted. It sorta works like an "etch a sketch" for those of you who are a old enough to know a time before video games. Through the invokation of "esoteric formulae", we are able to turn words into trans-dimensional ideas. Trans-dimensionality implies the ability to "transcend" the static or binding nature of words in the same or similar manner that Taoist metanumerics enables one to find the source of a given disease, with the intent to craft a formula that directly cancels out the vibrational energy contained in the disease. In otherwords, we recognize that words are binding by nature. They are not "refined". They are a "defining", or corrupting medium, but with the attainment of the ability to penetrate paste the veils and or vestments of the Letters (and hence words), we are unable to break free of the binding or confining nature of words. we relate that Isis, in seeking to burn away the mortal parts of the "baby dictys", or the meanings within the dictionary (definitions), has in general, "failed", and so the hidden meanings (esoteric truths and hidden formulae) within the words are not a part of the public discourse via the use of a dictionary (Dictys) or the "common man". Failing to be able to secure "immortal meanings", or the hidden concepts contained within words (refining the word and letters thereof), Dictys, or the dictionary, is deprived of "immortality" and hence words will move and drift with the sands of time. The Letters are what provide us with the medium to reach the trans-dimensional aspect of words in spite of the "the fall" or "de"finement of words. The word BLUE, for instance, may be broken down into B-LUE. Here we have two self evident truths caste into the word "blue": B-LEO (hence a product of the Sun acting within a diffused atmosphere), and BE-LOW, an idea of what "planet Earth" may appear as if one is to view it from outer space. Trans-dimensional meaning becomes filtered into the word, and the immortal part, that which is pure and difficult to destroy, becomes known. The myst begins to dissipate and the illusion disappears. If you are going to really "get it" and come to understand how the Occult influences (for both ill and naught), you must cease to be naive. For centuries elements of the Occult have controlled the Arts, and they will continue to do so long after you and I are gone. The Troubadours of the Medieval period was a classic example of a roving Occult operation, and the Shakespearean plays were instrumental to imbedding esoteric rules and formulae. In film you may find themes revolving around various Occult ideas. ", or Emerson, Lake, and Palmer's "Knife's Edge" are two examples, the latter speaking about the New World Order long before George Bush Sr. made the concept open and obvious for all to see. 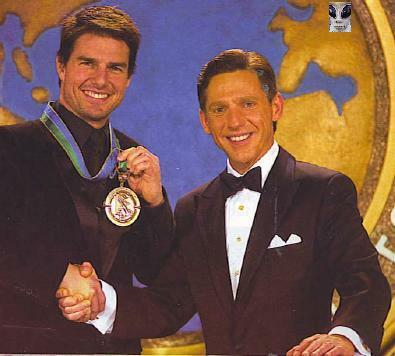 Further still, it is naive to believe that someone as Tom Cruise would not bring along on his coat tails a plethora of Scientology personnel within his productions and theme his movies along concepts contained in Scientology. You must be open or aware that certain genres, may be dominated by, inspired by, and controlled by a cellular Occulted force. Only those entering the genre that share the Occult message, wittingly or not, are promoted and driven up to stardom. At the end of the day, "the Construct", or the archetypal codings, are being imposed and enforced through all manner of weapons, be it "education", "film", "music", "advertising", and so forth. What makes "Art" "genius" is the use of metaphor and simile to describe a particular "reality". 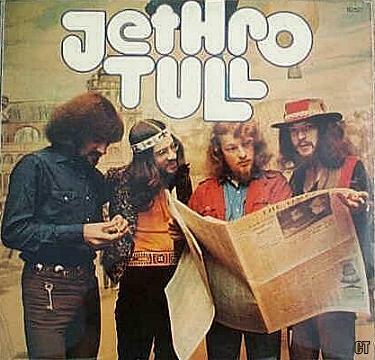 One of my favorite lyricists is Ian Anderson of Jethro Tull, who to me is a master at the craft. Wake hard in the morning. See the young girl milking. Stream rushing by on a bed of stone. Squeezing that river like it squeeze your bones. In the long red, red valley people live here too long. In the long red, red valley they only sing the valley song. Not easy for us to do good trade. We got snowmelt, snowmelt sweet water. They got that valley road that they made. In the long red, red valley people dying here too long. Holding hands on the hillside. but we hate those people down the valley. Now if you did not see the "Israeli-Palestinian" situation, you should have. The river is "the Jordan river", squeezed as it is to a trickle. 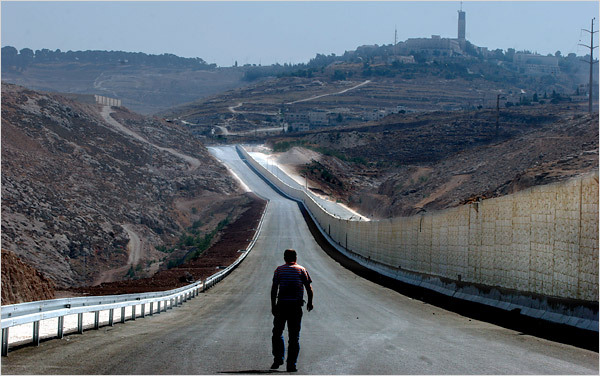 The "Red Valley" puts you back to Mars and Seth, and the idea of "they got that road" hints at the separate roads set down, the road in this case referring to roads exclusively for the use of Israeli's. In this archaic world that is the world of Setian metaphysics and Jewish culture, duality takes a bizarre simplicity. We are good and you are bad. Jews are rulers and "pagans", essentially the rest of the world, are servants of this "master race". This primal and primitive thinking is at the core of occult Judaism as taught by the Noahidist schools. Jews can love each other, but they hate everyone on the other side of the valley. Get him off that mountain. Bring back the tablets of stone. It's a wise, wise prophet who keeps his own council. Yeah, leave the other man's wife alone. In the long red, red valley people living here too long. In the long red, red valley they only live the valley song. In the long red, red valley they only know the valley song. "They" only know the "Valley Song", refers to the reality that they (and both sides are to blame) know only their own way, and each is a "valley" system, which by inference rests below any plateaus or heights. The result is that there is no "light", or at least extensive shadows, and so the ritual killing for some mythology (Valley Song) that is a small fragment of the larger Construct goes on unabated. With darkness or extensive shadows comes the slaughter because, as the Construct reveals, no reason or sense prevails. Now not all of you reading this can appreciate the stranglehold that Jewish concepts held over many of our worldviews for us here in the West. These dark, fear dominated philosophies, were all encompassing, oppressing the stifling even as they sought to wrap the soul into a controlling fear. You should expect to hear vestiges of this opening awareness sprinkled through Western music, done so in a veiled and clever manner. Even today, people run great risks to dare to question this artifically created and micromanaged reality. Blackmore's Night, a group whose lead guitarist broke off from Deep Purple, has a great song that deals with coming to the realization of what is there to "save you" is really what is there to control and harm. The song, "Writing on the Wall", is rich in Occult symbolism. This is the way of Setian systems. Put your faith in liars hands. Slogans like "Jesus loves you". Calls for absolute obedience (to a foreign spiritual force). Only later, if you are persistent, intuitive, or lucky, may you discern that Seth is Jehovah is Typhon is Cain is - well, the very "hero" you are up against. Don't worry, though, it was just a song about a failing relationship where one used all manner of control and the other, well, lost everything, including "the self". Then there are the rational observable views. 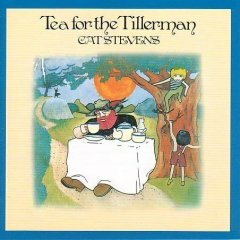 Take this from "Witches Promise" by Jethro Tull. The Witch is "Jesus", and "you were kissed one night in the wood" is Jesus kissing "Judas" in "Gethsemane". Your love washed by the water, well, Christian baptism, while looking "elsewhere" for "selfish gain" pretty much describes the motivation of "blind believers". "So don't wait up for him, he's going to be late."? Meanwhile, the leaves are falling, but far too many are too blind to see. On planet Earth there exists a trans-dimensional war which manifests as overt and covert warfare against the human race. Within this larger covert war exist two forces: Osirian (to include Isis and Horus) and Jehovah/Typhon Seth (to include control of Horus energy channels at present point in time, or so it appears). With the overthrow of Osiris and the later decapitation of Isis and dismemberment of Horus (see Plutarch, On Isis and Osiris, "These are nearly all the important points of the legend, with the omission of the most infamous of the tales, such as that about the dismemberment of Horus95 and the decapitation of Isis. "), what we find is that the former system was infiltrated and destroyed, changed, or altered from within. We may liken this to the story of Oromazes and Areimanius from the same tale. 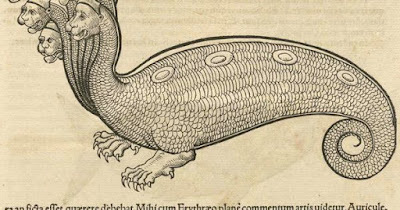 "Then Oromazes enlarged himself to thrice his former size, and removed himself as far distant from the Sun as the Sun is distant from the Earth, and adorned the heavens with stars. One star he set there before all others as a guardian and watchman, the Dog-star. Twenty-four other gods he created and placed in an egg. bBut those created by Areimanius, who were equal in number to the others, pierced through the egg and made their way inside; hence evils are now combine with good." We may liken this example to political realities. The necessity for secrecy of the various Initiated Orders was more due to the absolute knowledge of the very real Occult War in progress. Infiltration of a "light" order by "darkness" as embodied by Jehovah/Typhon/Seth, can only result in the destruction of the core order. Equally, enough orders dedicated to light have always existed, and infiltration of Setian orders would enable plans of the Setianists to be either delayed or defeated. So from a pragmatic analysis, we cannot view any core Illuminated system as being totally free from Setianist infiltration, and so we may hold that the organizational structure of Osirian and Isisian power is embodied in the manifestation of the Hydra. The Hydra is born of Typhon. It has "7-9 heads", of which the center head is immportal. 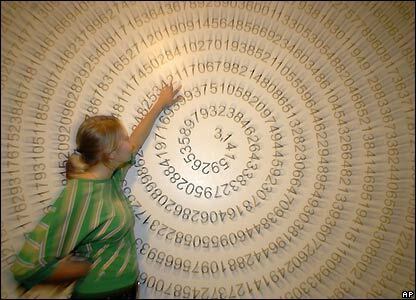 We may infer that this head is the Letter E as it is related back to the 9 digits that run from A to I which comprise Pi. As one head is killed, two more grow back. As Setianist force destroys one group, another one or two have already sprung up. A whole article could be done on the transpositional nature of the Letters H and P. Suffice it to say that they are often transposed and so are one and the same. Nevermind that the Greek Letter for P is Pi and that this shape shares equivalencies with the Letter H, or that when combined as PH, the Letters H and P share a value of 6, or a sound of "F", as in the word "phonetics": all of these things you are not supposed to know for they are key to the Letter Number Philosophical system of the Illuminatus. Nevermind that H is located at 8 which will sum to 36, or that P is located at 16 and will sum to 136, revealing the co-relational 1:36, which is, of course, 666 - all of this is just coincidental mathematical realities that become immovable as if caste into stone, as it were. While the ignorant were busy destroying knowledge caste into stone, Masonry was building a philosophy in language. This philosophy would have two primary archetypal "arch" enemies, at least as formed: the Hydra and the Octopus. The Hydra, with the Letter H transposing to a P, reveals the PY'd RA, while the Octopus reveals Pi in not so subtle of a manner. The parallels between the nature of the Hydra and the Octopus were too difficult to ignore. 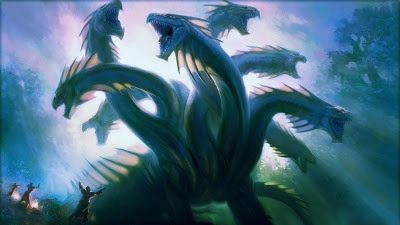 In the Hydra (Pi'd Ra), immersed as it is in the material plane, truly it could be argued that the Hydra was born of Typhon, as Typhon is the realm of the material atmosphere and all the incumbent spiritual life that dwells within. When one head was cut off, another head would grow. What remained was that the body of the Hydra could not die even as each head was cut off. Truth as spewed by the Hydra and all the organizational structures was imbed in the body, with each head maintaining its own independence. Lop off the head of one, and it would soon grow back, or simply spawn another. The critical point is that the heads remain independent, a form of "liberty", and hence representative of Osirian illuminatus power structures. On the other hand, the Octopus has 8 arms. Never mind that the Number 8, again, sums to 36, or that the 8th sign of the Zodiac (Scorpio = Score Pi X 10) appears as it does in the 10th month, which is appropriately named "October" and thus contains the root OCTO for 8, all this is just right before your eyes, caste into the structure of the language awaiting for the interested seekers to gain access to the inner secret that it all was constructed. None of this was intended for you to know. Yet in the Octopus, we find the core nature of Setian philosophies. There can be no other god than Jehovah, and so all the arms operate from the one head, as opposed to the many heads being part of the larger body (the L F Ant). 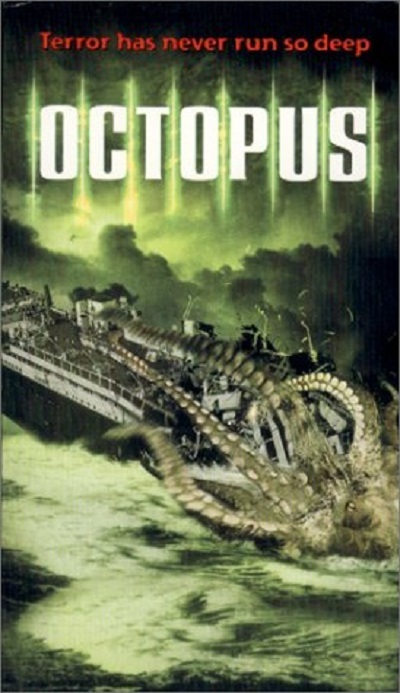 When the Octopus is cornered and one of the arms is effectively cut off, it too exhibits the same characteristics of the Hydra in that the mangled and torn arm grows anew. Further, when cornered with little chance of escape, the Octopus squirts out a stream of ink and so disappears into the darkened and muddied seas. Compare this to the obvious reality that 9-11, a Noahidist occult formula aligned with the Lubavitch movement and the Neocons, quickly hid the truth of the dastardly deed behind a sea of ink in the form of media control. This very pragmatic reality of controlling the press is fused to the reality that the Octopus covers its escape in a sea of ink. If truth could be ascertained and known, and the Octopus unable to muddy the water in ink, its demise could more readily be accomplished. And to think - even when an arm of the Octopus is totally severed, it still is able to operate for a period of time as if it is still alive and living. It is said that after Seth murdered his brother (Cain murders Able) Osiris, that Osiris would go on to reign as King of the Underworld. But truth is deceptive even as the Construct reveals the critical keys. UN is a prefix. D is a Letter (root). "ER" is a suffix intimating a past tense. Simple, really. UN = Prefix for "NOT"
ER = Suffix intimating a past tense. But what is a "D" world. A "D" world is a world in which truth is half revealed and half concealed, where there exists a night and day and each of these reveal further Occult realities and structures. 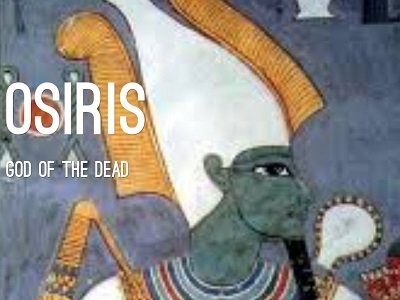 So Osiris is King of the Not a D World (UNDERWORLD). Inverse Duplicity. Planned deception which means exactly the opposite. What Osirius rules over is the Sun and all the philosophy that eminates therefrom. What Setianists systems seek to do is "Kill the Sun", or Osiririan Occult philosophies, which, being based on the Sun, reveal critical and key truths which by their very nature provide insight, guidance, and illumination. So we shall return to another political insight relative to the larger Occult War in play. When the Noahidists and Neocons came to power, the world was immediately thrust into a long and brutal war across all fronts, a war that has gone on to bring about a near economic catastrophe for the United States, the home of Osiris (Continental Freemasonry). Within this larger war were micro images of "beheadings" and the public exhortation to heed these beheadings as proof of some brutal evil set loose in the world. That a brutal evil was set loose should not be remiss by any astute and aware individual. The brutal evil was of course, the thrust to create a New World Order by the the Noahidists and their Synarchic power structures. What was missed was the Occult symbolism caste in public through the idea of "beheadings". As shown in Noahidist doctrine, violations of "their" laws of morality are punishable by "beheading". This is the public doctrine of the Occult reality. Osirian power structures, dangerous too as they are as they are fused often with too much Setian influence, are still far better for humanity than Setian power structures. As the Osirian systems are represented by the Hydra, the call for beheadings and the imagery portrayed revealed a larger occulted reality that the Setian Noahidists had every intention of going after and "beheading the Hydra", or the Osirian power structures. The symbolism was not lost on those in the know. All opposition to the previous Noahidist Neocon plan was to be squelched. Any investigations into the real truth of 9-11 being an inside job was to be silenced. Media was to be used to fabricate a reality as real as Torah fairy tales impressed on humanity as "factual truths". It could be noted that the silence before the unfolding Setian plan to bring about their New World Order was evidence of the Occult idea of "beheading the Hydra". Much ruin has been wrought by the Octopus,and the Hydra at times may appear to be far from benevolent. The key to remember here is that the Hydra has many heads, and all people may create their own head even as they are part of the larger body. There is nothing, really, to stop any of you from growing a new head on the Hydra. What you need are the philosophical tools to maintain strength in the face of enormous planned adversity to growth, and the motivation to organize in your own ways "to grow your own head". Not all heads need to be evil, and there is much good still working to better humanity without revealing the nature of the Construct.